Domain Mondo's weekly internet domain news review (NR 2019-04-07) with analysis and opinion: Features • 1) ICANN GNSO EPDP for gTLD Registration Data Updates, 2) Other ICANN News: a..AMAZON, b..AFRICA, c. Free Speech at ICANN? d. Trolls at ICANN? 3) .EU, .AU, Donuts & New gTLDs, History of the Web, 4) ICYMI: Facebook & Internet Regulators, Former Regulator Lu Wei gets 14 years, EU Censorship, and more, 5) Most Read. April 18 is target date for a new EPDP Chair to have been selected and approved by GNSO Council. Deadline for submitting "Expressions of Interest" in the position is April 8, 2019. "Legal guidance next steps: The EPDP leadership team recommends that the legal committee is reconstituted as soon as possible, with meetings commencing shortly after reconstitution. In order to make the committee more effective, it is recommended that members have proven legal experience. Their role is not to advocate for their respective groups or positions, but to assess whether issues / questions raised by the EPDP Team are legal questions, have already been addressed elsewhere and channel any follow up to the EPDP Team's legal counsel. If at any point any member of the EPDP Team is of the view that the legal committee is going outside of its remit and/or individual members are not working for the best interest of the EPDP Team as a whole, the leadership team will review the membership structure." EPDP Phase 2 Work Plans: The EPDP leadership team recommends splitting the work into two work tracks/areas: 1) System for Standardized Access to Non-Public Registration Data; and 2) all other remaining issues (remaining issues from Annex: Important Issues for Further Community Action and Issues deferred from phase 1 - as outlined in the mind map (pdf) updated 10 March 2019). "You are also encouraged to highlight any specific legal guidance that has already been provided ... that may be of relevance to the upcoming deliberations." See Legal Memos provided by Bird & Bird to ICANN GNSO EPDP. a. .AMAZON: Amazon's Fight With South American Countries Over Control of '.amazon' Domain Name Comes to a Head--"... on March 10, ICANN set a deadline of April 7 for the two sides to finally resolve this dispute once and for all. But that seems very unlikely ..."--gizmodo.com. See BBC.com: "The nations of the Amazon want the name back." 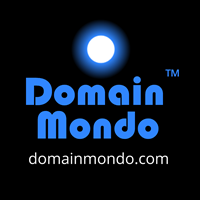 See previously on Domain Mondo: News Review | Another ICANN New gTLD Disaster: .AMAZON. Editor's note: the idea of having private .BRAND gTLDs was a mistake from the beginning, a corruption of the concept of generic top-level domains (gTLDs) as set forth in RFC 1591 written by Jon Postel, which predates the formation of ICANN and its "Californication" of the internet and global DNS. I'm with the South American countries. ICANN should do the "right thing" for once and end the .BRAND gTLD program, refund the application fees, and "undelegate" all .BRAND gTLDs from the internet "root," while allowing every owner of a distinctive trademark to block use of that mark as a gTLD in the future. ICANN's Evidentiary Objections to Plaintiff's Judicial Estoppel Post-Trial Brief 28 March 2019.
c. Free Speech at ICANN? Follow the blog posts of well known domainer, and active ICANN participant observer, George Kirikos, on his new blog at FreeSpeech.com. Editor's note: there are no "winners" in this matter, which I now refer to as Greg Shatan vs George Kirikos vs ICANN et al, and there are many with "unclean hands." Hopefully the ICANN Ombudsman will bring some "sanity" to the situation. Mark Svancarek revealed this week on the EPDP mail list, that "Over the last several months, UASG lists have been exposed to one or more pseudonymous trolls who attack certain officers and ambassadors by name, and criticize decisions made in accordance with our charter which they feel merit their input; when we ban them, he/they just create multiple new aliases. Sometimes they email us directly ..." [link and emphasis added]. Svancarek is Principal Program Manager, Privacy & Regulatory Affairs, Tech Policy & Internet Governance, at Microsoft. 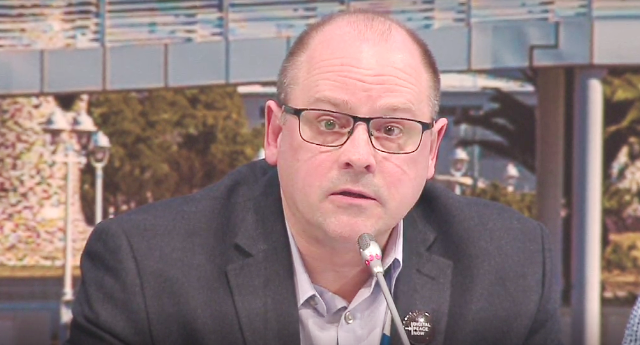 He has been an active participant in ICANN as Vice Chair of the Universal Acceptance Steering Group (UASG), as well as EPDP member from the Business Constituency. ccTLD .EU & Brexit Uncertainty: check this page at eurid.eu for updates. See also this. ccTLD .AU: auDA Creating Yet Another Mess--whizzbangsblog.com. New gTLDs Registry Operator Donuts raising wholesale domain name prices 6-9% on most of its 241 TLDs, effective October 1, 2019. Editor's note: when you find out your "products" have limited appeal, all you can do is raise prices on those gullible enough to have fallen for your over-hyped product in the first place and are "stuck." Domain names are "sticky" not "fungible" which is why ICANN's entire model for new gTLDs is so ill-conceived. Too bad ICANN didn't listen to the U.S. Department of Justice Antitrust Division. Timeline: The 30-Year History of the World Wide Web--visualcapitalist.com. Mark Zuckerberg Does Not Speak for the Internet--eff.org. Why we should say No to Facebook’s call to “Regulate the Internet”--internetgovernance.org. The Real Reasons Why Facebook's Zuckerberg Wants More Government Regulation--zerohedge.com: 1. Regulations Will Give Facebook More Monopoly Power (make things more expensive and difficult for smaller startups and potential competitors). 2. Zuckerberg and Facebook Will Help Write the New Rules. 3. It Will Limit Facebook's Legal Exposure. Editor's note: it's possible that ICANN paid Wei "bribes," directly or indirectly, during that same time. ICANN was doing every thing it could to garner support, or at least acceptance, from the Chinese government, in order to establish the "ICANN presence" in Beijing. We may never know for sure, ICANN has never been audited by the IRS. One thing is clear, Fadi Chehade, ICANN CEO at the time, acted strangely when quizzed about ICANN's expenditures and lobbying efforts with foreign governments, and never gave a straight answer nor the accounting he promised at the time. ICANN still doesn't disclose its lobbying activities and expenditures outside the U.S.
Can The EU Survive Its Own Censorship? The EU’s new, comprehensive Copyright Directive may change the way people use the internet--zerohedge.com. Prediction: Article 13 will damage the EU more than it damages the internet. The EU believes it can push the future in the direction it wants. But the future has more mass than the EU. So what will happen instead is that the EU will push itself away from the future. One thing that makes me skeptical about the EU long term is the way they seem to view regulation not as an unfortunate necessity, but as an exciting project. Google, Facebook Phished For Millions--Business email compromise (also called BEC, CEO or invoice fraud) usually targets finance and other corporate executives who are tricked into issuing payments that could be upwards of millions or hundreds of millions of dollars--cshub.com. Microsoft obtained US court order to take control of 99 websites which Microsoft says are linked to Iranian hacking group Phosphorus--microsoft.com.